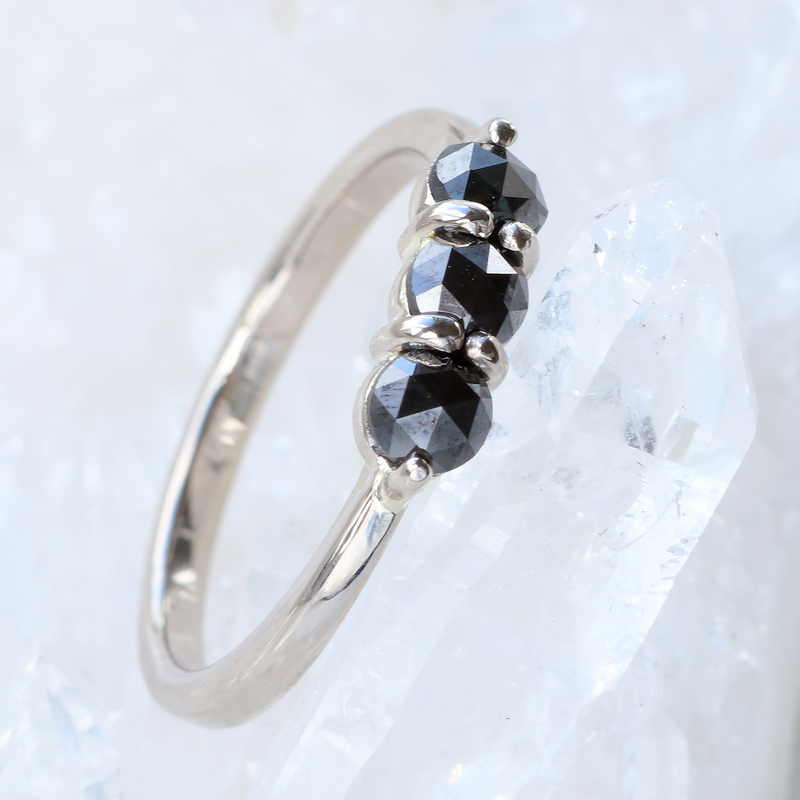 This unusual ring is set with a trilogy of three beautiful 3.5mm rose cut black diamonds, held with hand-formed prong settings. 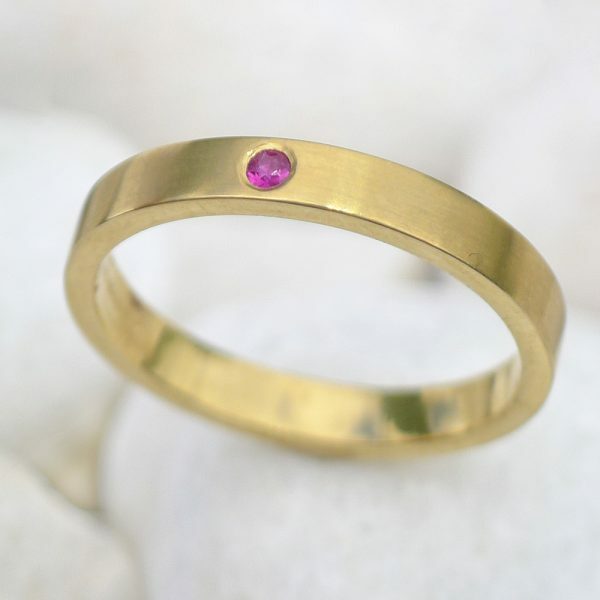 The band is 2mm x 1.5mm, narrowing at the front and is handmade from ethical 18ct white gold. 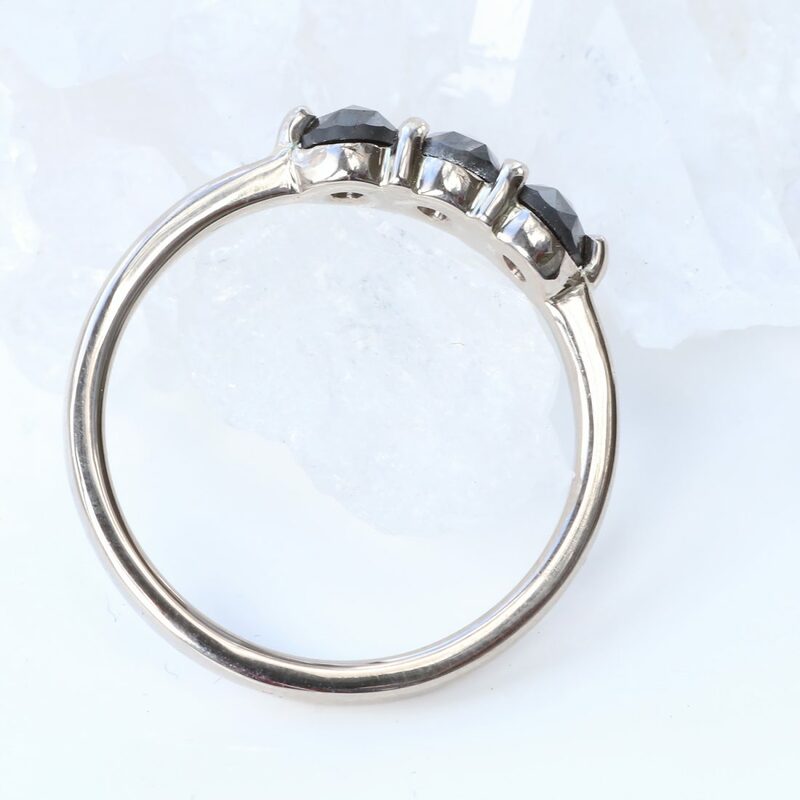 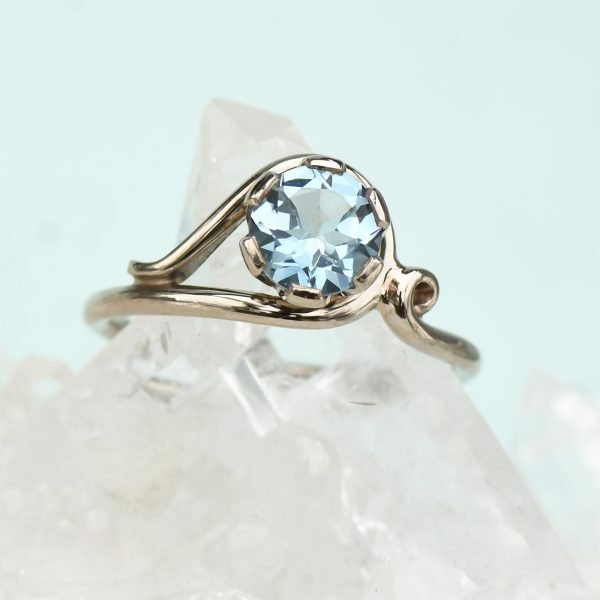 Worn as an engagement ring or as a statement piece, this first edition ring (as pictured) can be purchased in a UK size L/US size 6. 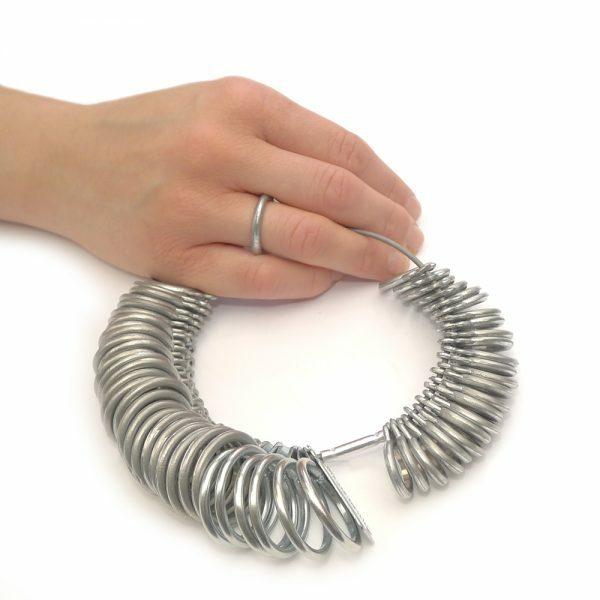 Due to the style of this ring, it is not possible to resize the band. 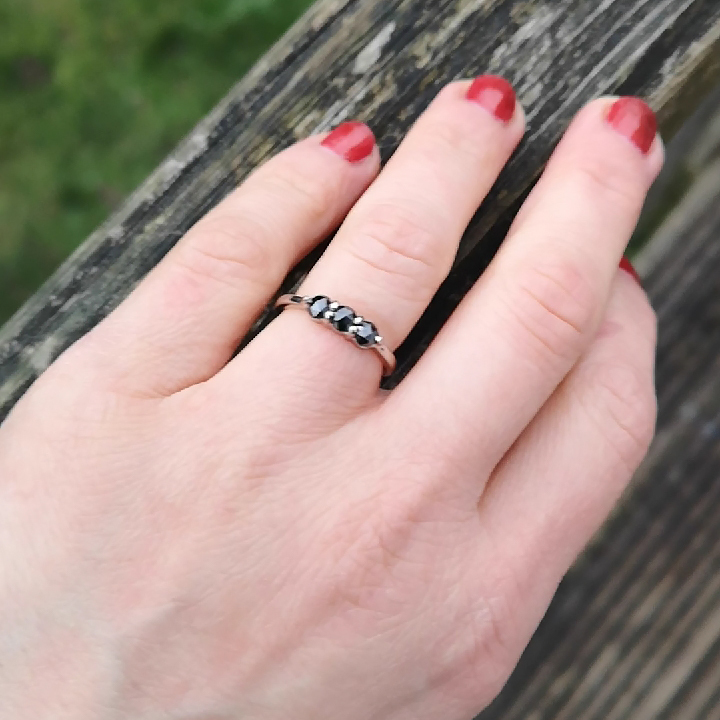 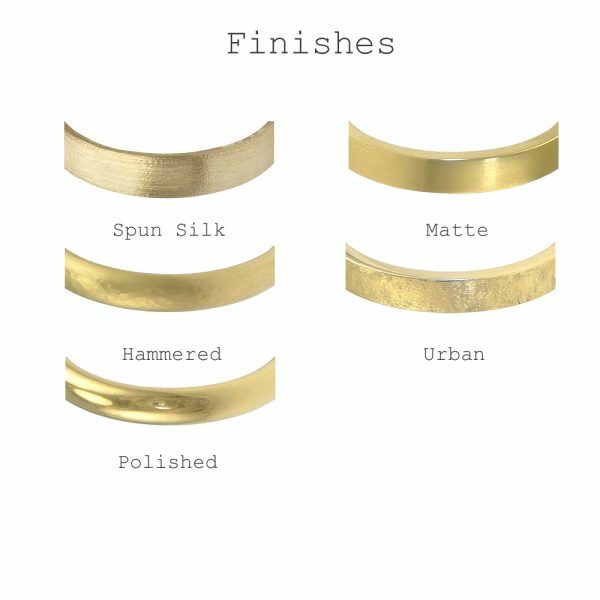 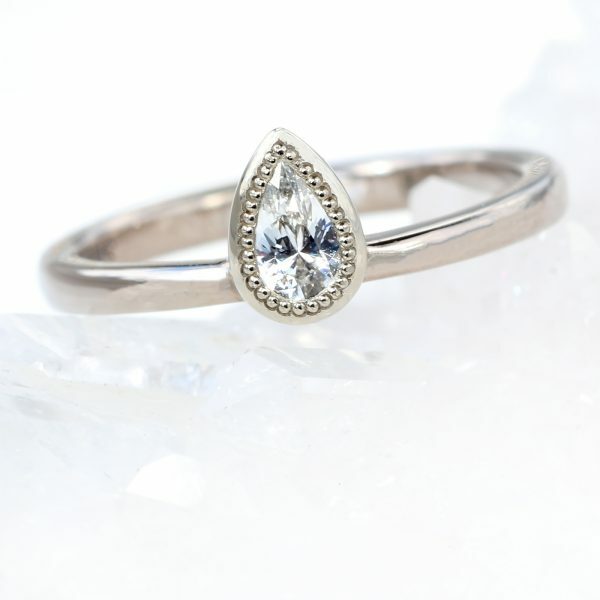 Handmade in Lilia’s studio in the Cotswolds, England and hallmarked by the Birmingham Assay Office, the ring is available for the next day delivery in a presentation box. 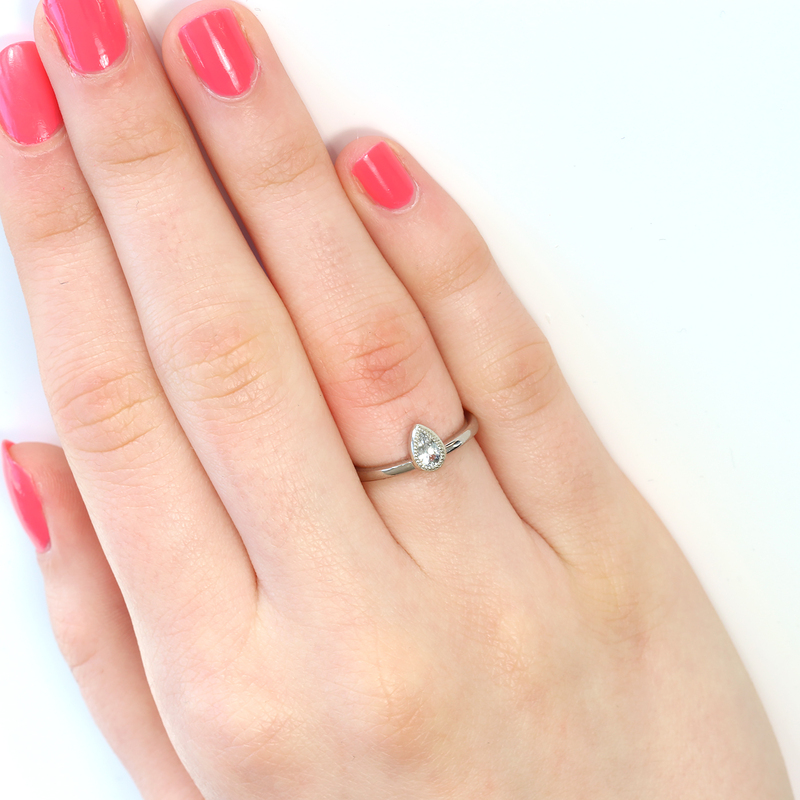 Not your size, or prefer this design in yellow or rose gold, or platinum? 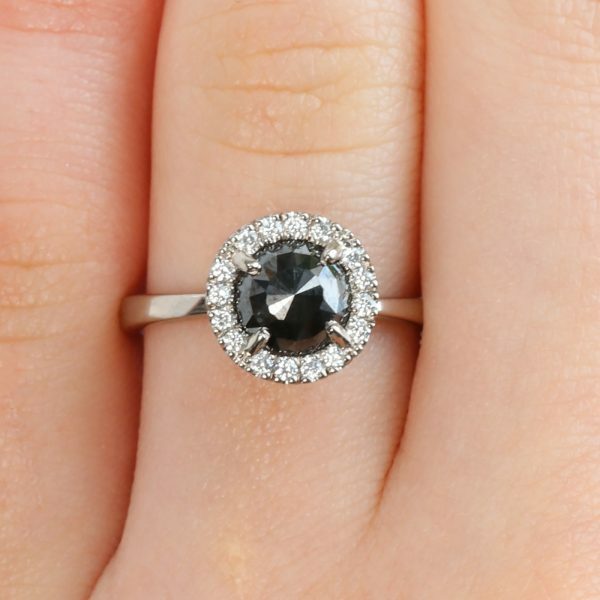 Or prefer a white diamond or moissanite? 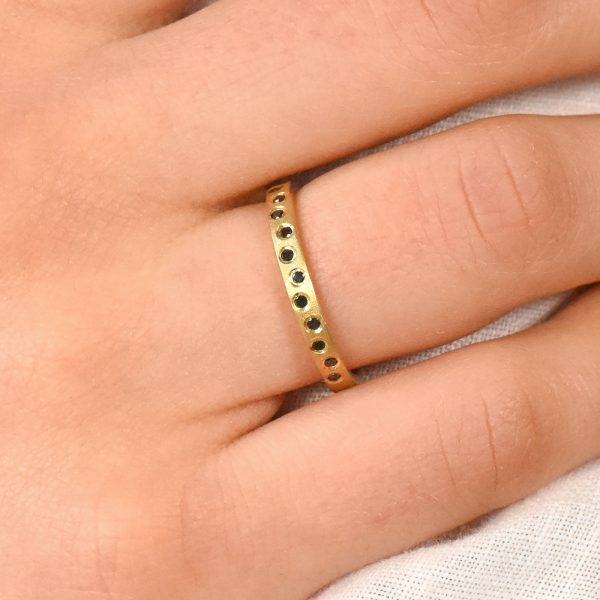 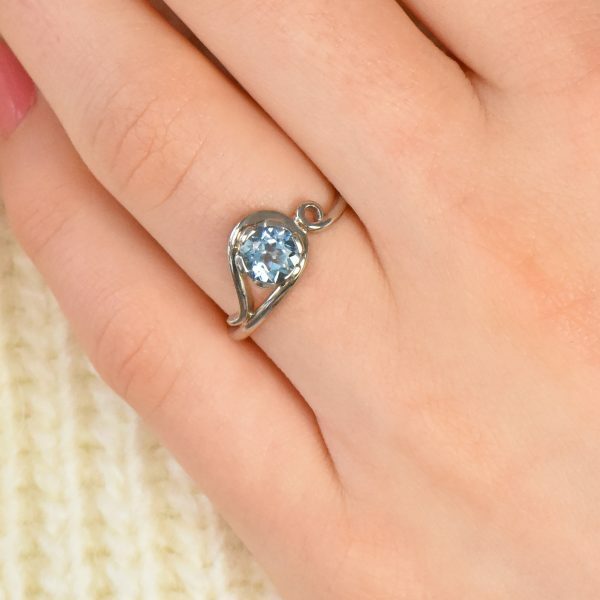 Create your own version of this ring. 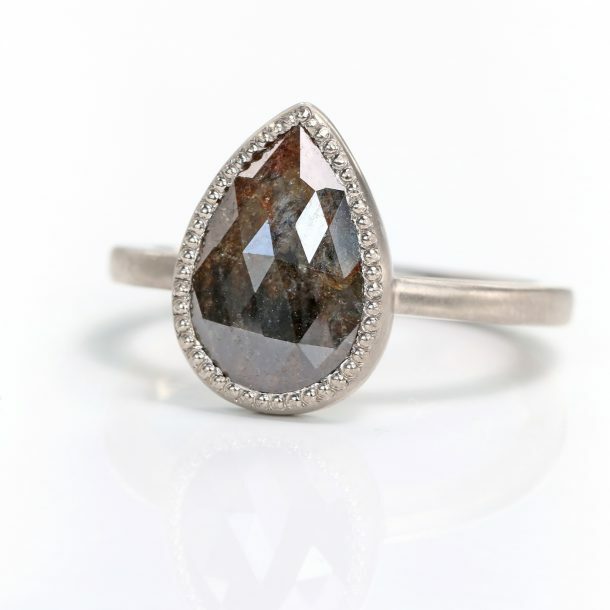 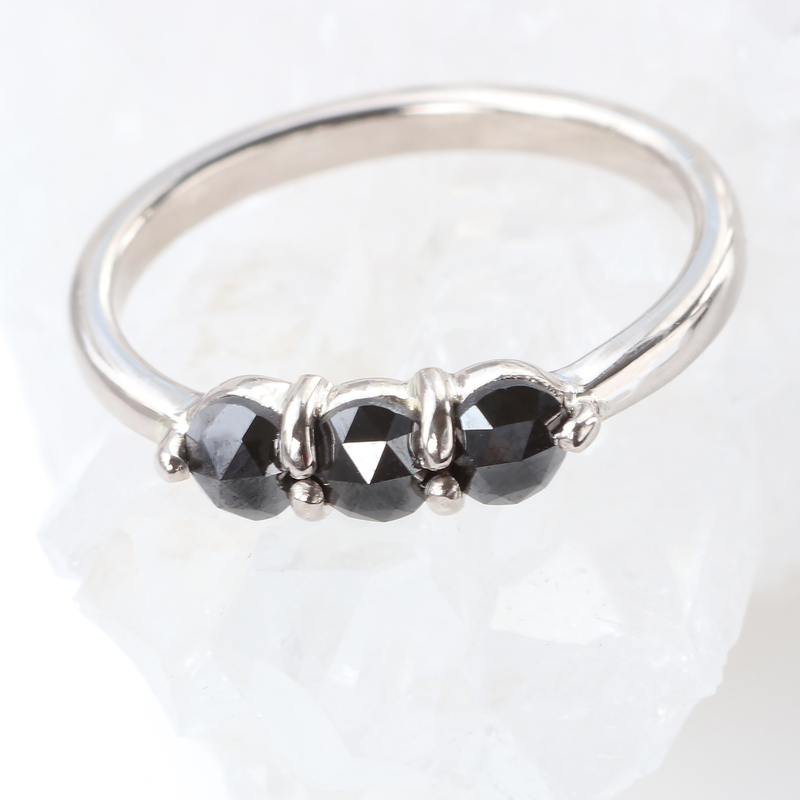 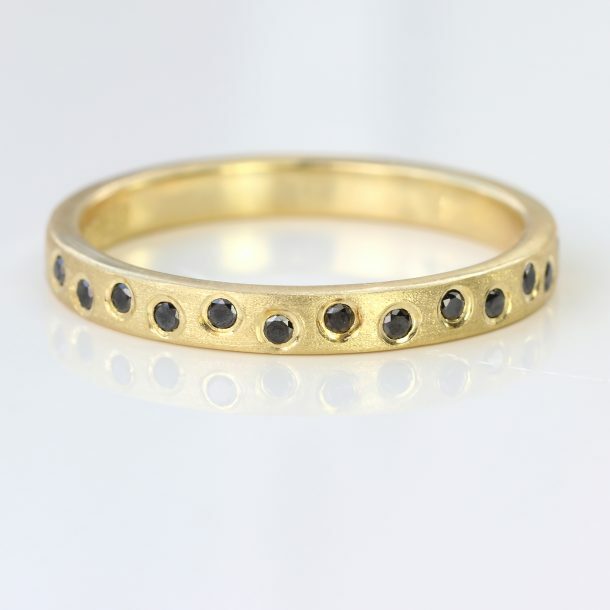 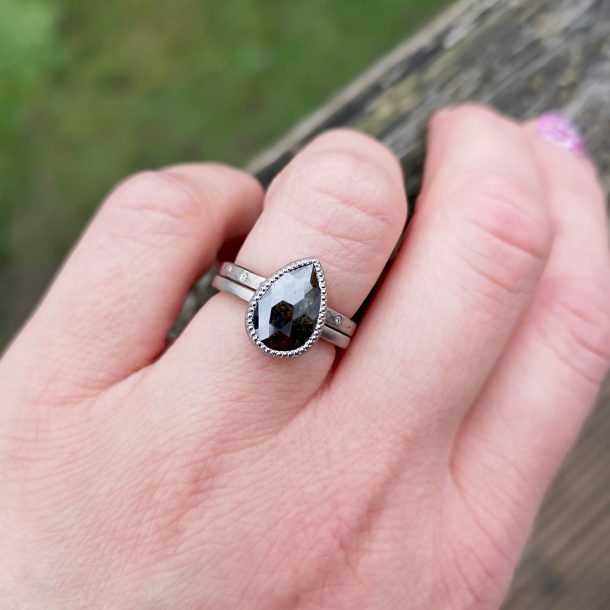 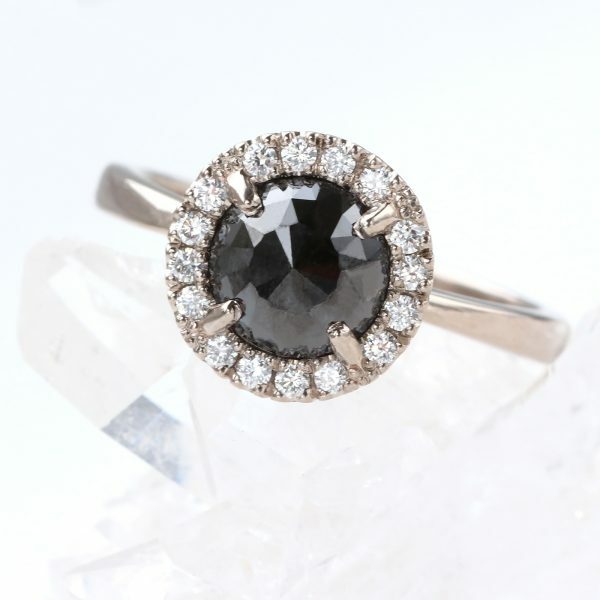 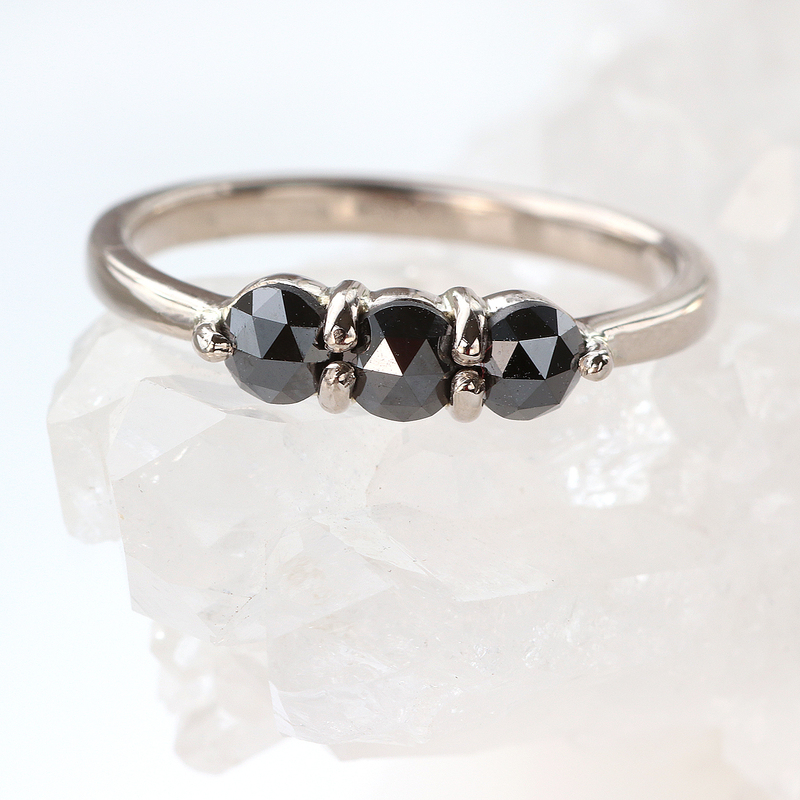 An elegant trilogy engagement or casual ring, set with conflict free rose cut black diamonds. 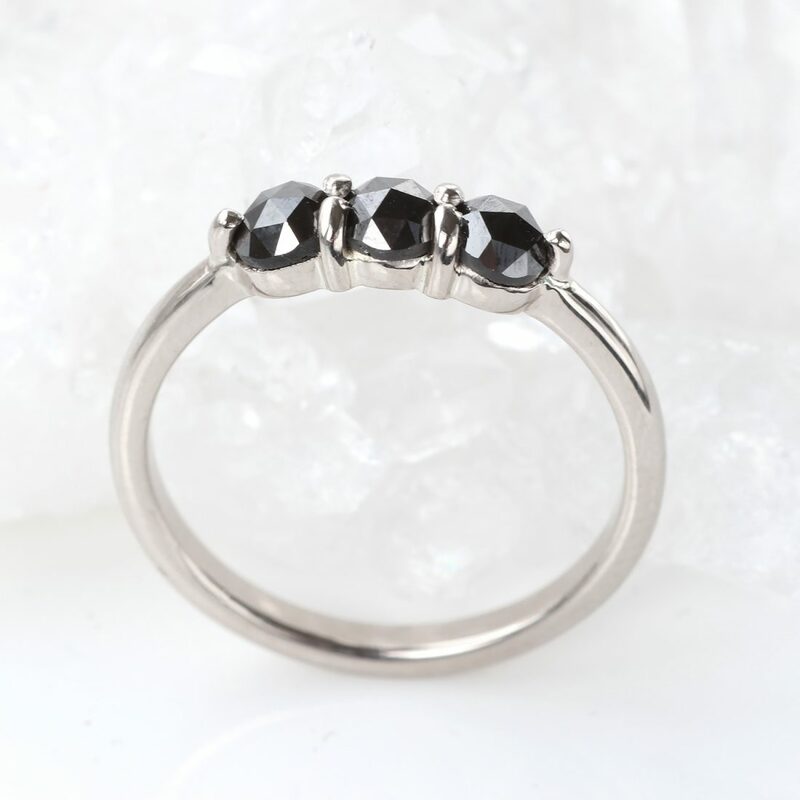 Available now in 18ct white gold, in size L.
SIZE – Ready to wear in size L (6 US).